Limited to 15 spots only. Registration confirmed upon fees accepted. A performer and dancer born in Osaka, Japan and no primarily based in Berlin. Graduated from Nihon University College of Art in Tokyo, Japan in the Department of Theater. Furutani's ork and expression is concentrated on Butoh technique and practice. His experience and capabilities are however varied - Furutani has worked on different projects with stage directors, film makers, dancers, actors, and musicians. 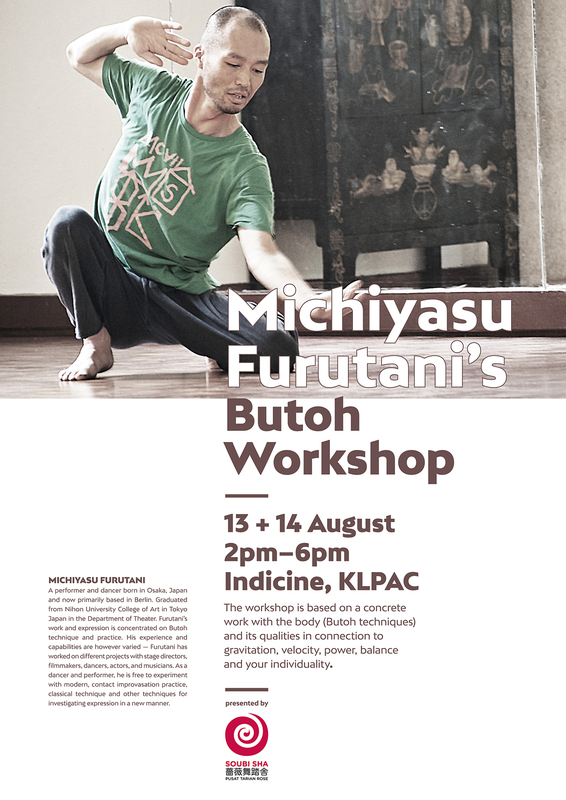 In addition, as a dancer and performer, he is free to experiment with modern, contact improvisation practice, classical techniques for investigating expression in a new manner.